* Work with your veterinarian to be sure your horse is not reacting to a physical ailment. Stall kicking can be a sign that your horse is uncomfortable or in pain. 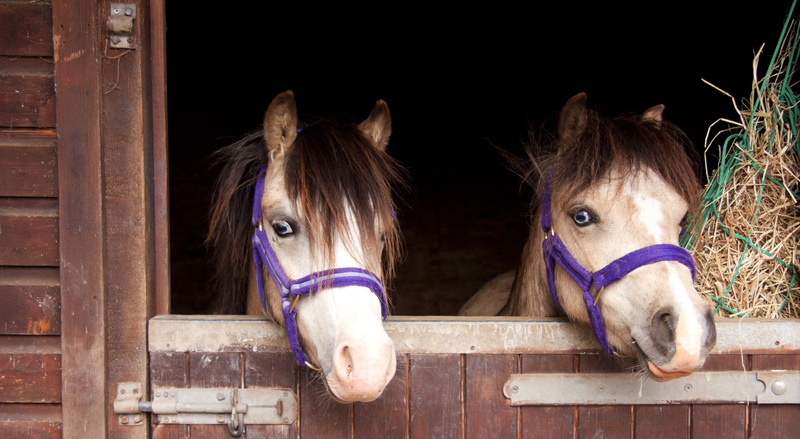 Any number of physical problems can cause a horse to kick out as discomfort comes and goes. Skin conditions caused by insects, bacteria or viruses (especially on heavily feathered breeds) are an obvious source of annoyance. Other examples of physical problems that can cause intermittent kicking include: musculoskeletal pain, gastric ulcers, urinary tract infections, strangulating lipomas (a fatty tumor on a stalk that "strangles" some part of the intestine), foot abscesses, inguinal hernias, kidney stones, bladder stones, enteroliths (intestinal stones), gas colic, and gastric impactions.